One of the few real bright spots in DreamWorks feature animation of the past decade has been the How to Train Your Dragon franchise. Loosely based on the childrens’ novel series by Cressida Cowell and directed by Lilo and Stitch’s Chris Sanders and Dean DeBlois, the 2010 boy-and-his-pet-story by way of Nordic fantasy and it’s 2014 sequel are a couple of the strongest American animated movies not to come out of Disney. Rich in both their world and characters and with a powerful, emotional backbone, they’re also technically innovative and breathtaking. The flight sequence from the first film is still one of the best scenes I’ve seen in ANY animated movie and the boldness and scope of the second remains uniquely impressive and captivating. 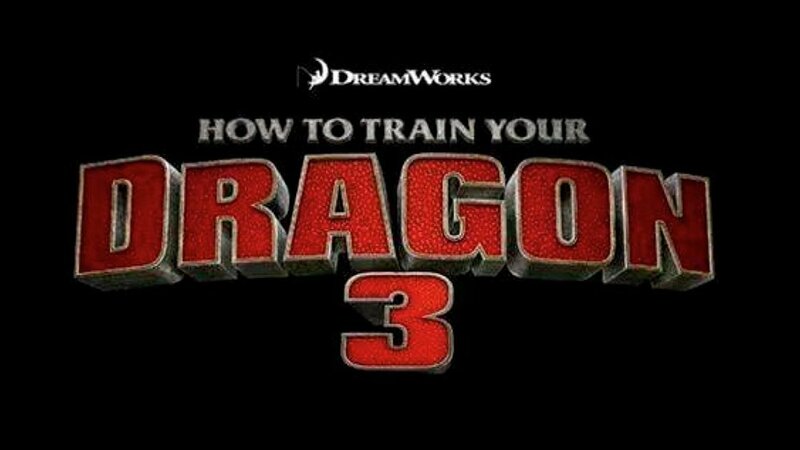 How to Train Your Dragon 3, or The Hidden World, has been a long time coming. The conclusion to the trilogy as DeBlois intended it to be, has been pushed back a number of times since its’ original release date was set in 2016. And after Kung Fu Panda 3, it was the last DreamWorks movie on the production slate to really look forward to. But after much patient anticipation and five years after its predecessor, we finally learn how the story of Hiccup, Toothless, and the Vikings and dragons of Berk ends. A year after the last film, young Viking chief Hiccup (Jay Baruchel) and his friends have turned tyhe civilization of Berk into a haven for rescued dragons. But due to overcrowding dragon hunter Grimmel (F. Murray Abraham), Hiccup ascertains the Vikings must leave Berk and journey to the fabled Hidden World where dragons live in peace. and Hiccup is forced to decide whether or not to let Toothless go and rejoin his kind. The animation as usual for this series is wonderful, the visual vibrancy and creativity inherent in the world still managing to be versatile and even awe-inspiring during a couple sequences. The Light Fury is an especial highlight, as is the Hidden World itself once it’s found, even topping the paradisical enclave of the second film. The diverse designs of the dragons are still interesting and fun, the animators getting to play around to great effect with their abilities and personalities. There’s also more attention given to the functionality of the worlds’ inventions and the organic action set-pieces. But the character animation might be at its strongest here, both in the mixture of old and new appearances, costuming, but also detail of expression and texture that subtly allows the characters a more resonant presence. Of course this pays off on some more than others, and a weakness of the film might be that returning characters from the previous instalment don’t feel of much use. Hiccup’s gang still serve their purpose of comic relief with the returning Snotlout (Jonah Hill), Fishlegs (Christopher Mintz-Plasse), Ruffnut (Kristen Wiig), and Tuffnut (Justin Rupple replacing T.J. Miller) each allowed more screen-time if not more development than they’ve had in the past. But after being such a crucial element of the last movie, Hiccup’s mother Valka (Cate Blanchett) isn’t given a lot of opportunity to stand out from the rest of the secondary Vikings. She along with former dragon trapper Eret (Kit Harrington) are here more out of obligation because they couldn’t quite fit a narrative purpose. Blacksmith Gobber doesn’t either, but the film does a better job integrating him and knows how to play well to Craig Ferguson’s strengths. through a heightened accent. The stand-outs of the series however remain Hiccup, Toothless, and Astrid (America Ferrera). Astrid has been a secret weapon of this series since the first film, a wonderfully dynamic and consistently likable character whom Ferrera imbues with a really fun personality. Particularly, her relationship with Hiccup these last two movies has been really endearing and cute. And maybe it’s due to them having done the show together as well, but Baruchel and Ferrera convey fantastic chemistry that feels like a genuine long-term relationship. You don’t often see romances like theirs in animated movies. But the story proper belongs to Hiccup and Toothless, their bond being the heart of the series, and thematically it feels like the natural step. It’s the culmination of their coming-of-age, Hiccup both being immensely tested in his role as a leader and having to come to terms with Toothless’ inevitable freedom. And the arc is executed superbly, especially when taken against the other films it represents an absolutely fulfilling and complete journey. moments of the trilogy happen here. As for Toothless, his story is very much the mirror of Hiccup’s in the previous film in terms of finding someone and forming an emotional connection that impacts his future. And with some adorable flirtation in the mix, his growth is apparent too. It’s this that makes the movies’ ultimate conclusion incredibly meaningful. A lot of the plot and conflict isn’t all that strong -even with some very high stakes, there are more than a few missed opportunities and moments where the pacing meanders unnecessarily, and the subtitle “The Hidden World” doesn’t really make sense given how much time is actually spent there. But by god does this movie earn its ending! Everyone who’s fallen in love with this typical-yet-atypical boy-and-his-pet story should feel satisfied with the touching and beautiful way it wraps up. Lastly I want to touch on the work of John Powell who’s been an unsung hero of this series for composing its’ fantastic music. Here it’s once again exhilarating and stirringly sweet, teamed up once more with a song from Jónsi of Sigur Rós. A fitting conclusion to the How to Train Your Dragon series, The Hidden World delivers terrifically on its visuals, themes, and the most important character arcs, though with more weak spots in its story and secondary material than its predecessors. It’s neither as heartwarming as the first movie as epic as the second, very much being the Return of the Jedi of this series. But hey, Return of the Jedi was still a really great movie.